My SDRsharp was often crashing so I wanted to use rtl_fm CLI (command line interace) to receive NOAA images. I found this post http://www.rtl-sdr.com/an-alternative-noaa-weather-satellite-tutorial-using-rtl_fm-and-wxtoimg/ which was poorly and incompletely written but it gave me a jump start. WxToImg will send commands to MCE controller which will start rtl_fm and sox applications which will pipe the audio to virtual audio cable. WxToImg will listen to virtual audio interface and capture the data. NOTICE: This tutorial does not include doppler shift correction but with NOAA it’s not that important. The following step is optional but recommended. We’ll need it later for the sox. Go to playback devices (right click on the speaker in the taskbar). 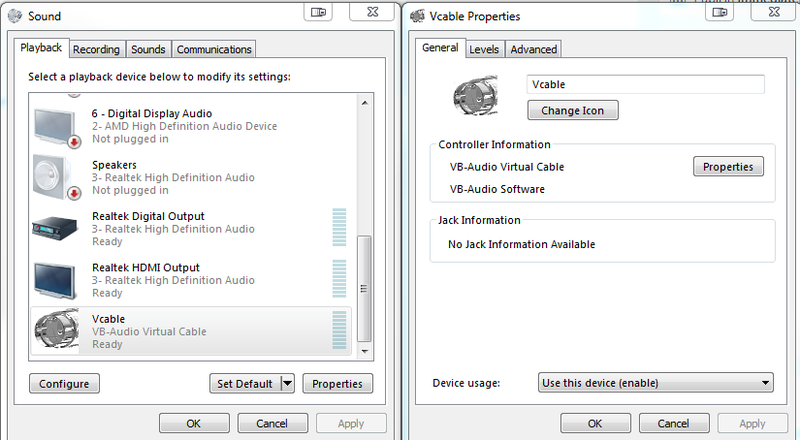 Right click on your VB-Audio Virtual Cable, properties and rename it to Vcable. If you get missing DLL files when runing sox, install Microsoft Visual C++ 2010 Service pack 1 Redistributable package MFC security update. 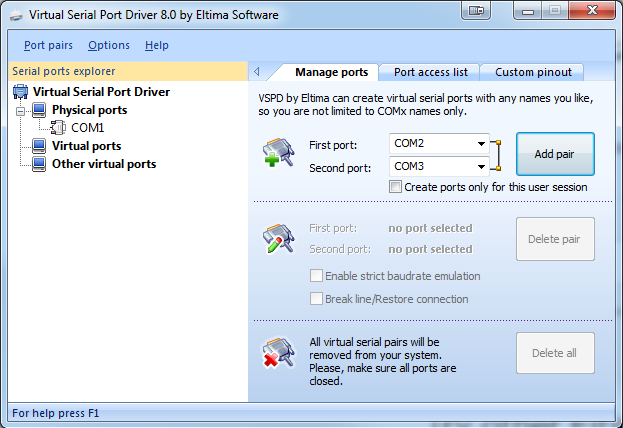 Open the app, select two COM ports and click add pair. You end up with COM2 and COM3 in the left menu. 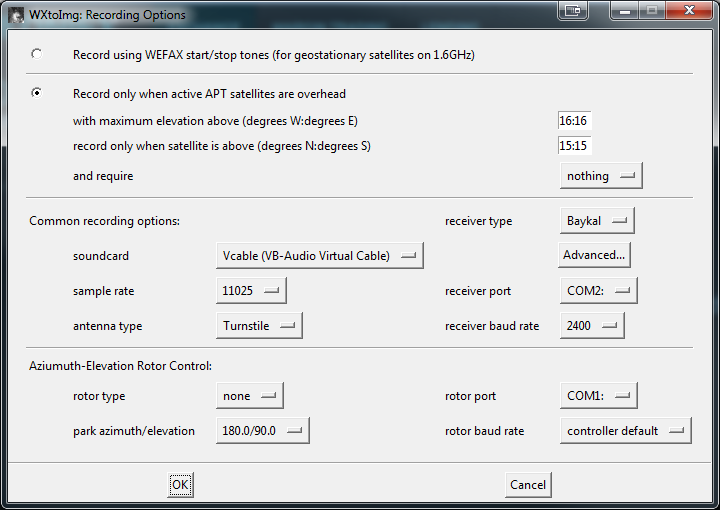 You can choose different ports, but you need to reflect that in WxToImg and later in MCE controller settings. 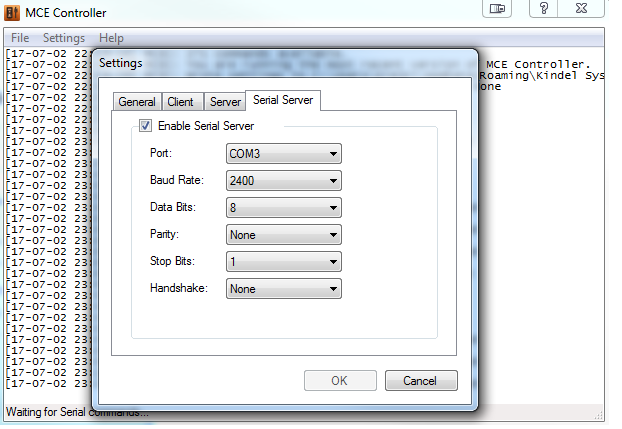 MCE controller and WxToImg should now be connected together with COM2 – COM3 pair we created earlier. 7. 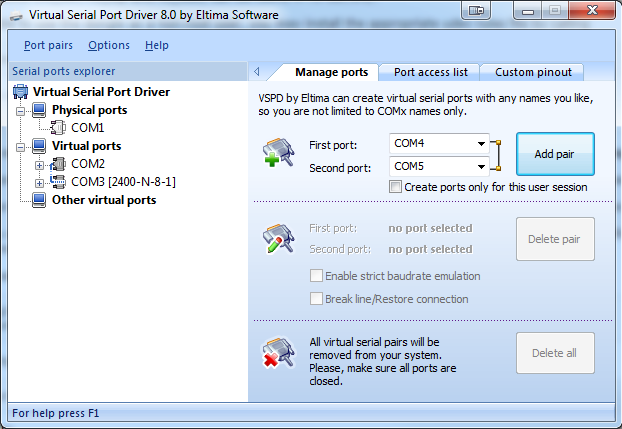 Create a file for MCE controller commands. 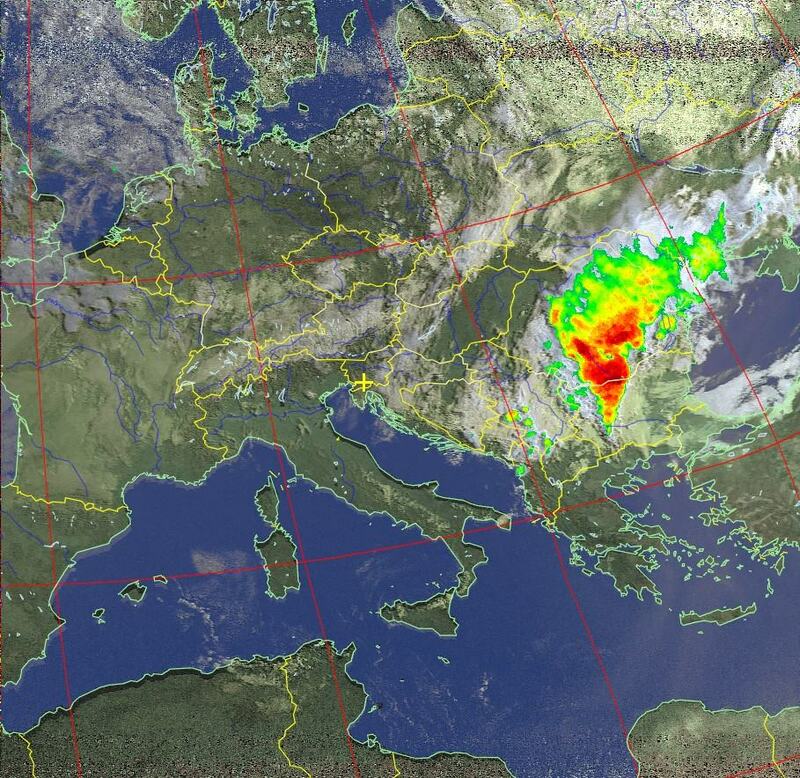 MCE will recognize the commands sent by WxToImg and start rtl_fm and sox. File: The full path to the executable you want to start. IMPORTANT: Change the path of the bat files to your own location. Bat files are included in the next steps.